Though the story of the Kilgore-Lewis House says that it was built around 1838 by Josiah Kilgore as a wedding gift for his daughter, historic records indicate that the house was likely built by George Boyle, who deeded the property to Kilgore in May of 1838. Kilgore did indeed gift the house to his daughter, Mary, in 1855, and she may have been married in the home’s parlor, as legend holds. 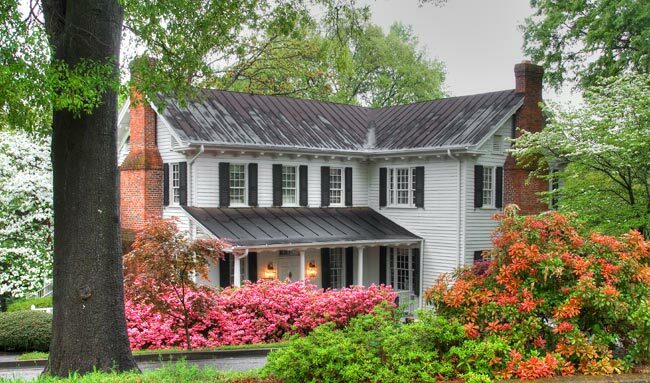 In any case, the home is thought to be one of the oldest surviving structures in Greenville County. The farmhouse is embellished in the Palladian style, setting it apart from other farmhouses built in the Upstate during this time. It was originally located in downtown Greenville on Buncombe Street next to Buncombe Street United Methodist. The home remained in the family for 130 years before finding use as a Sunday school building for the neighboring church. However, when this arrangement was no longer convenient for the church, the house was threatened with demolition. The Greenville Council of Garden Clubs stepped in and saved the home from the fate suffered by many of Greenville’s historic structures. The organization moved it onto a five-acre lot in McPherson Park in 1974. Today the farmhouse, which sits near a spring, is open for tours and also functions as a popular event site. Built ca. 1838 of heart pine, the Josiah Kilgore House is one of the oldest structures in Greenville County. 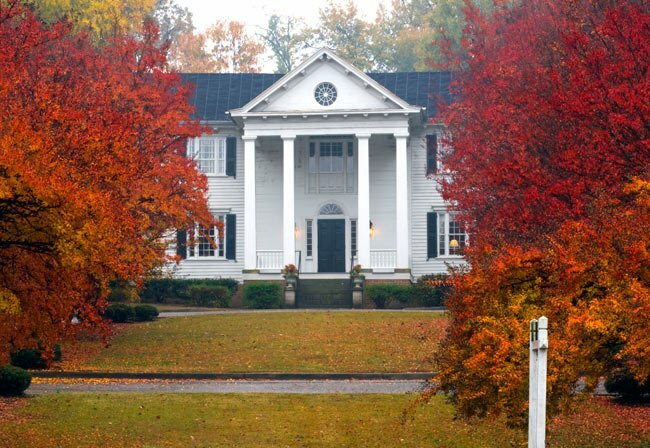 Architecturally it is an example of the application of the Palladian or Classical Revival style to what is otherwise an upcountry farmhouse. 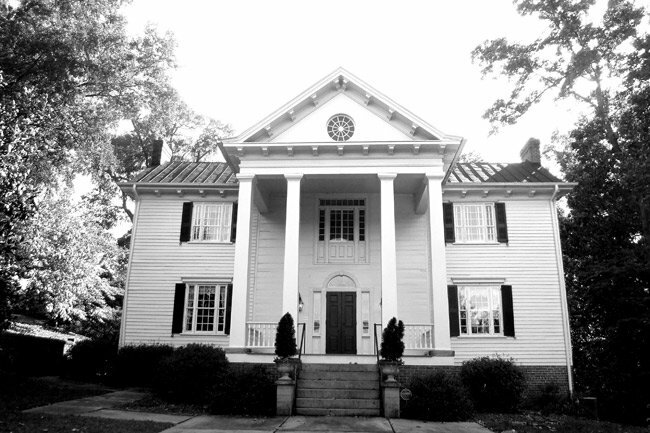 The Palladian style found in the Josiah Kilgore House is more sophisticated than the vernacular styles usually found in this area of South Carolina during the first half of the nineteenth century. The Palladian stance of the square giant-order posts supporting the portico is echoed not only in the entrance but also in the windows at the front elevation and in some of the windows in the rear. The portico is capped by a pediment of plain design with an oculus. The bracketing of the pediment and eaves is a later addition. The house is a two-story L-shaped design on a low foundation. Shiplap is used in the protected areas under the porches while the remainder of the exterior is clapboard. The rear elevation with projecting rear wing has a three-bay porch on the right side of the wing balanced by a similarly gabled enclosed porch on the left. Originally located in a commercial area of downtown Greenville adjacent to Buncombe Street Methodist Church, the structure was moved to a five-acre site in McPherson Park to prevent its demolition. Thanks so much for sharing! We just watched your video and it is beautiful, we shared it via our Facebook group so others could see as well. Happy Holidays! I recently posted a YouTube video about Kilgore-Lewis House called Kilgore-Lewis Christmas Treasures. KLH is such an inspiring place! Thanks for providing such interesting background information. Have a Merry Christmas! Hello Christine, we are so glad you are researching your family history and found our page to be of some use! That is exciting to connect the dots isn’t it? Just a note of interest. I believe I am a relative of Josiah Kilgore. My great grandmother was Martha Elizabeth Kilgore. Her daughter, my grandmother, always told me we were from the south and we had a plantation. I didn’t believe her as I’m from San Francisco, California and thought she was making it up until I started researching my family on ancestry and submitted a DNA test. Hard to believe! Interesting History! Thank you for the information!